Have you toured the Governor’s Mansion in your state? Today I stopped by the Illinois Executive Mansion and toured both the house and the grounds. 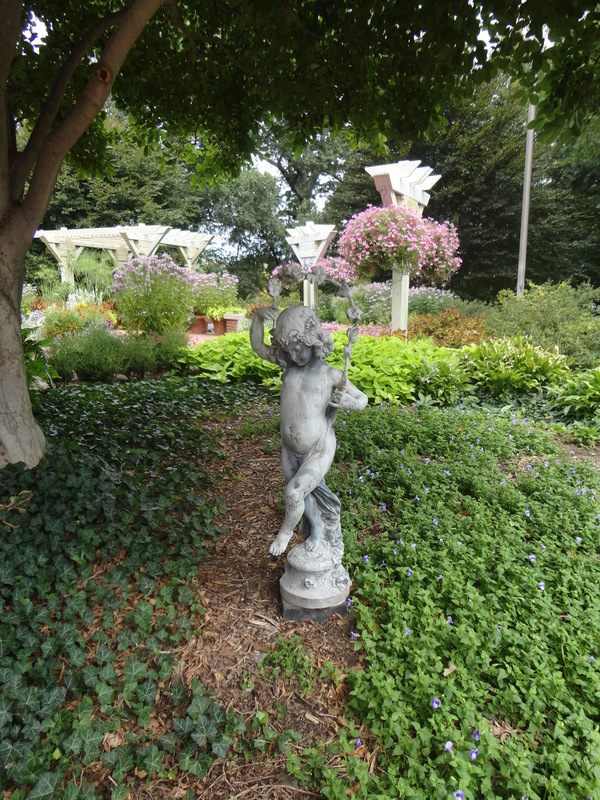 Harry Lewis, who has served as the Mansion’s horticulturist since 2009 has filled the grounds with more than 100 planters full of perennials and annuals. The Governor’s lawn is dotted with color and beauty. The lawn and gardens serve as a perfect backdrop for the home of the highest office in the State. The Illinois Executive Mansion is open to the public Tuesdays and Thursdays from 9:30 to 11:30 and 2:00 to 3:30 and Saturdays from 9:30 to 11:00. Serving as the Governor’s mansion since 1855, this is the third oldest continuously occupied Governor’s Mansion in the United States as well as the largest. This is a place that is used for political gatherings as well as non-profit groups. Call 217-782-6450 for details. The mansion is free to tour.